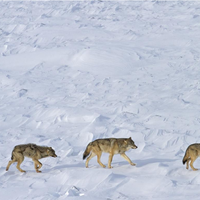 Researchers find high stress hormone levels in the hair of hunted wolves in Northern Canada. Wolves are often viewed as enemies of humans, as they compete for prized prey species and sometimes kill valuable livestock. 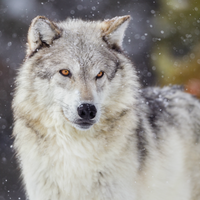 In Northern Canada, where wolves are hunted as part of government control programs, this culling has consequences for the animals’ hormone levels, according to a study published last week (November 12) in Functional Ecology. 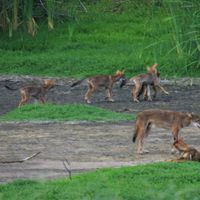 High levels of stress hormones and altered levels of reproductive hormones may reflect disruptions in the wolves’ social structure and could affect their vulnerability to disease. Scientists from the Universities of Calgary and Victoria in Canada collected hair from wolves killed by hunters over a period of 13 years. Because steroid hormones are incorporated into growing hair from the follicles, levels of cortisol, progesterone, and testosterone measured in hair reflect long-term hormone levels in the animals. Among 130 wolves from heavily hunted tundra-taiga populations in Canada, the researchers found significantly higher levels of the stress hormone cortisol than in a group of 30 wolves from boreal forests with less intensive hunting. 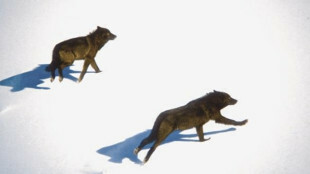 The tundra-taiga wolves also had increased progesterone levels, suggesting a higher-than-usual proportion of breeding females—ordinarily, only one female in a wolf pack reproduces each year. And elevated testosterone in the hunted populations also points to social instability.